The Communications Workers of America union has learned to appreciate corporate consolidation. The union offered concrete reasons for its support, not least that the deals could increase the ranks of unionized workers. In 2010, it opposed the merger of the cable giant Comcast and NBC, which was ultimately waved through by antitrust regulators, partly on the grounds of Comcast’s hostility toward unions. These days, yet another media leviathan is in the making. 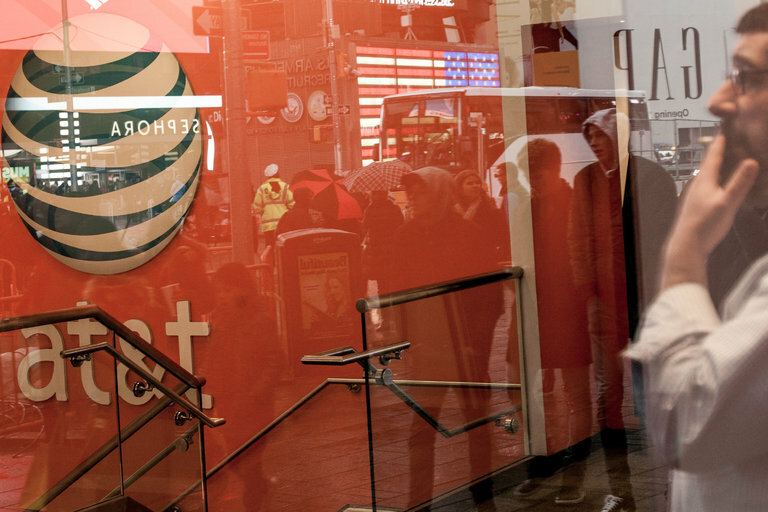 If it is approved by regulators, the proposed $85 billion combination of AT&T and Time Warner will merge one of the nation’s biggest wireless networks, which also owns a satellite television system, with studios that make some of the most popular movies and television shows. The Communications Workers’ leadership is now mulling over whether to support the proposition — a spokeswoman said the union was evaluating the merger, but she would not comment further. This time the union might want to change its tune. The latest deal may pass muster when viewed in isolation. But collectively, mergers at this scale are reconfiguring the American economy in ways that seem to be tilting the scales toward the interests of ever-larger corporations, to the broad detriment of labor. Stumped by an economy where wages have gotten stuck for all but the most highly educated, where too many men in their prime working years struggle to stay in the job market, and where women’s long march into the work force has stalled, some economists are turning their attention anew to the role that diminishing competition might have in causing workers’ plight. “I think it is an underappreciated part of the problem,” said Jason Furman, President Obama’s chief economic adviser. Competition policy can no longer be understood in the narrow terms of protecting consumers from higher prices. Three years ago, the Nobel laureate economist Joseph Stiglitz proposed that increasing profits from companies managing to avoid normal competitive forces — what economists refer to as “rents” — appeared to be an important factor in the rising share of the nation’s income flowing toward corporate profits and top executive pay in recent years. He surmised that weak labor unions — which represent barely over 7 percent of workers in the private sector — did not have the clout to protect the workers’ share. Since then, several other studies have presented various channels through which a lack of competition between employers could keep wages down. In a report published last month, the White House Council of Economic Advisers, led by Mr. Furman, laid out the case. In a competitive market, companies will vie with their rivals to hire the best workers, lifting wages up to workers’ “marginal product,” the last cent where their employers could still turn a profit. As productivity grows, wages will be bid up further. Prosperity will spread. But when there are few or no rivals in a labor market, employers will pay much less. This kind of power doesn’t even require employers to hold absolute monopolies. Employers can collude more easily when there are few competitors. They can more easily impose tough contractual restrictions that make it tough for workers to shop for better jobs. Competition in product markets does not necessarily translate to competition in the labor market — an exporter that sells into global markets but hires domestically may experience a lot of the former yet little of the latter. Waning competition in employment can muck up the economy in more ways than one. It slows wage growth, of course. Lacking outside options, workers are much less likely to leave a job. But economic output and employment will suffer, too, because fewer workers will be willing to work for the lower wage. The main reason for falling wages and declining employment is simply that demand for less-skilled work is falling. Still, American markets have been growing more concentrated. Since the late 1990s, the share of revenue accruing to the top 50 firms has been rising in most industries. The average age of firms is rising, as fewer new firms have been entering many markets. In some sectors, like health care, there is clear evidence of monopoly profits. And there is direct evidence that big employers are interested in limiting their workers’ options. Hospitals in several metropolitan areas have been accused in court of colluding to reduce nurses’ pay. In a better-known case, some of the titans of Silicon Valley were sued by the Justice Department for agreeing not to poach one another’s engineers. Employers have other tools to limit competition in hiring. The Treasury Department has discovered, for instance, that 18 percent of workers are covered by noncompete agreements. They aren’t all high-end engineers with trade secrets in hand. The list includes fast-food workers. Policy makers can push back against employers’ market power. Strengthening labor unions, of course, would give workers more leverage against dominant employers. Raising the minimum wage would provide a higher wage floor. But it seems there is an opportunity to rethink the nation’s approach to antitrust law, too. It should not be seen exclusively as a tool to protect consumers from sticker shock. Christopher Shelton is the president of the Communications Workers of America. Maybe he’s listening this time.